This entry was posted in EDL 820 on January 20, 2019 by jenresch. PHEW, I made it! I am going to begin by expressing how much I enjoyed taking this class! I have been working with technology in the classroom for several years now and every year I learn more. Technology is always improving and changing the way we do things, the way we teach, and the way we learn. Every year my students are experiencing new things and I am pushing myself to keep up with them! These experiences mean that I need to ensure I am staying informed and up to date with the possible risks technology can pose to my students. Teaching and modeling digital citizenship is increasingly important. I cannot simply complete a series and lessons and then drop it. I must reinforce the skills and concepts continually throughout the course of the school year. Students learn through practice. The need to be reminded and they need to see their teacher also modeling those same skills. The growth I continue to see with my students as they experience the digital world has been remarkable. In this class I have heard several people comment about how we need to find a balance with technology. I completely agree. Digital integration is not about going paperless. It is about reinforcing a solid pedagogy that is supported through the use of technology. If a teacher does not know why she is using technology, then there is a BIG problem. Thank you to everyone for continuing to add to my learning journey. Though I have been working with technology in the classroom extensively, it has only been for two years! I still have a lot to learn and I cannot wait to see what is in store. This entry was posted in EC&I 830 on June 25, 2018 by jenresch. Boy, technology has come a long way. I still remember being in grade 5 and my teacher telling me about a new opportunity where we are going to send messages to students in another country over the computer. I could not believe it! How would we be able to do that? Basically we were emailing them and sharing information on a project we were doing in collaboration with five or six other classes throughout North America! This was a big deal because it showed me that computers were for so much more than just practicing typing and playing games; we could connect to the world. Technology has made the world so much more accessible. As a teacher, I can connect with specialists from around the world. My classroom is currently connected to another classroom in Saudi Arabia and Chicago. We are sharing our classroom experiences and learning about what it is like in those other classrooms! It is great to see my students interact and learn about other places first hand. We can also connect with specialists and live chat with them to learn more about any given topic we are learning about. Technology has afforded us that privilege. Technology has also brought education to more people. Education is now way more accessible. Our group this week talked about Open Education Resources, which offers university level courses free of charge taught by professors at universities around the world. This is a great way for people who are interested in learning, but lack the finances, or availability to attend classes, to still get the education they seek. In addition, we cannot forget about the emergence of webinars, distance learning (correspondence), online courses, or video conferences. These are all due to the emergence of technology and they have allowed people, regardless of their location, to access courses, seminars, and even institutes, all from the comfort of their homes! Technology has also narrowed the divide in abilities between those who “can” complete a task, and those who “cannot” complete a task. As I previously mentioned, I am blessed to teach in a 1:1 technology classroom. I have witnessed students who were several grade levels below average in reading and writing, be able to participate with our class and produce work that is at, or even above, grade level. These technological advances have given these students the boost they needed to continue to persevere and push forward. Students are also given far more opportunities and options to showcase their learning when technology is integrated into the classroom setting. Student creativity soars and they definitely rise to the occasion! Our debate saw a lot of comments come forward. One that stuck out to me was the comment surrounding those who cannot afford the technology and how they are left behind or at a disadvantage. Raj Dhingra discusses how technology can change education in this TEDx talk. He discusses how the argument surrounding cost and affordability is null. One just has to be creative. I have to admit, this video got me interested in some of the low cost options and made me wonder why more school divisions are not accessing this technology. Perhaps we are all so attracted to the “shiny penny” that we forget the reason behind needing the specific devices we have access to. Do we necessarily need all the features available, or are we attracted to the brand? I am the first to admit that Apple products are great, but are their price tags really worth it? If our goal is to provide technology to students so they can access and receive the benefits outlined above, then why are we breaking the bank doing so? Education technology is huge! People in the tech industry are constantly looking at how to get into that market and sell their big idea. However there are plenty of great services available online that do not require a large credit-card limit to access. SeeSaw is an example of a technology that showcases students and their capabilities. It also features tools that allow students who “cannot” to still participate with their classmates. All of these features are FREE! There is no hidden cost or terms to work around. I have used and accessed several other sites with the same feature! If, as an educator, you are willing to search and be a little creative, then technology and integration does not have to necessarily be so far out of reach. I am going to share with the video my amazing team and I put together outlining these points and more! To close, I would like to mention how a lot of blame is put onto TECHNOLOGY. We like to use it as a scapegoat to justify why society is the way that it is. We use it to explain why bullying is getting worse. We use it to explain why we see so much racism in the world. We use it to explain why we have this whole “digital divide”. What some of us need to do is slow down and remember that we had all of these issues before technology. Yes, the prevalence and use of technology continues to push some of these issues to the forefront, but it is not the reason for those issues. I guess we need to accept that technology is here and we need to take it (the good and the bad) and ensure each and every one of us is using it for its’ intended purpose and not abusing this remarkable tool! I grew up in the era where the internet and social media was just emerging. I can remember being in elementary school when ICQ and Yahoo Instant Messenger was just emerging. Though we were dealing with dial-up internet that was often unreliable, these new instant messaging web services were huge! We could now visit with our friends and make plans, but we could also connect and meet new people. I don’t think “digital safety” was ever something we worried about, nor did we ever think chatting with these people would result in anything, except making a new friend. Surly “stranger danger” did not apply! Soon after, we were introduced to chat rooms, and interactive games that allowed us to open up the world and interact with so many more people. I do remember meeting a boy online and chatting with him on a regular basis. We would exchange pictures and meet in the chat room regularly. I never worried about the chance that he could be anyone other than who he said he would be. Today, things are different. The internet and online social networks have evolved a lot. According to Statista the number of social media users worldwide is constantly growing and by 2021, it is projected, that there will be 3.2 billion users around the world. Not to mention that there are now well over one hundred well known and popular social media sites around the world. (I tried to find an exact number and topped out at 105, though I am sure there are many more out there!) The desire and attraction for today’s youth to join or get involved with social media is outstanding. I think about my own daughter and her fascination with my Facebook account, or her desire to have her own Snapchat account. When I ask her why she wants it, she explains it is because she loves playing with the photo filter features. She is not aware that others could find and contact her. Social media certainly has it’s advantages: it has allowed me to stay in touch with friends from my youth, it informs me of various current events, it has helped me to share events, or announcements with others, and it is entertaining! All of these features are great for adults, however for youth, under the age of thirteen, they do not require these same advantages. When children access social media, they are doing so to typically “play around”. Children often find they are using the media for things it is not necessarily intended for, such as posting inappropriate pictures, following strangers, posting mean or rude comments and striving for the most “likes”. Today’s youth seem to have become obsessed with receiving LIKES on their social media sites. The like receiving the feedback and instant gratification received from posting on their site. This gratification also comes at a cost. What happens when they do not receive enough likes, or when someone posts something that is hurtful? The results have been detrimental. Today’s youth are on the search for recognition, or even the possibility of fame! There have been success stories of Youtube sensations who have been discovered because of their social media presence, however the likelihood of that happening is quite low. This strive for fame and recognition has lead under-aged minors to be posting things online that are pushing the boundaries of what is appropriate. When something is not received well, then the results are often tragic. The prevalence of suicide among youth is on the rise. The frequency among youth has been steadily increasing every year. We cannot assume social media is to blame, however the prevalence of technology and cyber-bullying if way to obvious the ignore. Because our youth are on the search for acceptance and are at an age where their impulse control is still developing, they are at a greater risk to post things they may regret later, or make decisions that are not fully thought through. I am not blaming social media for the rise in suicide, however it is certainly may be a contributing factor. I love using social media, however I am an adult that is aware of the dangers, repercussions, and consequences attached with using social media, particularly if it is inappropriately. I actually think thirteen is quite young for youth to be accessing social media. I believe they are still quite young and immature to be accessing, posting, and commenting on these types of sites. I have witnessed students who have gotten themselves into a lot of trouble because they are not old enough to handle the freedom social media allows them. By increasing the age, maybe they may be able to handle it a bit better. That being said, many children under the age of thirteen continue to sign up and do not even know that an age requirement is intact. PARENTS….yeah, I am talking to you! It is our job to ensure we are monitoring our children and their activities online. Kids are sneaky and they hid things real well. We need to outsmart them and wise up! We need to educate ourselves on some of the social media options, track our children’s accounts, and have open communication about what they are doing when they go online. This is no different from checking in with your children’s friends they hang out with and ensuring they are safe! Privacy has nothing to do with it! It is our job to protect the youth and we cannot allow them to enter the world of social media blindly! As a mother, teacher, and tech enthusiast, I am terrified for the day when my children begin using social media. I am going to ensure I do everything in my power to ensure I am prepared and educated to support them and keep them safe! This entry was posted in Uncategorized on June 19, 2018 by jenresch. This entry was posted in EC&I 830 on June 11, 2018 by jenresch. Should Schools Teach It If You Can Simply Google It? Google. 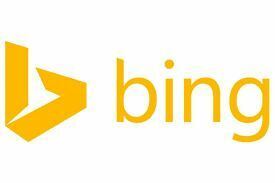 Bing. 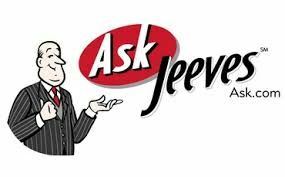 Ask Jeeves. The internet has brought with it endless amounts of information that is readily available to whomever wishes to search for it. When I initially saw this debate topic I was confident in my stance. Why should we bother making students memorize facts when they have a plethora of information literally at their fingertips? It seemed pretty straightforward. The world-wide web offers student not only the answers to all their questions, but often many different outlooks and opinions for them to consider, right? What is the point of teaching the facts when students can simply ‘google’ it? The role of the teacher is changing. Teachers used to be thought of as the keepers of knowledge, the walking encyclopedias, or a student’s informational guide to learning. Today, the teacher is more of a facilitator in the learning process. Many times, we are learning along with our students and guiding them toward their own truths and understandings. Instead of standing at the front of the classroom lecturing from a standardized textbook, I am teaching my students skills to find, evaluate, and interpret their own knowledge. The following video speaks to this shift and offers some suggestions about how the role of the teacher has changed. If the teacher is an “experienced learner”, then it is the teacher’s role to lead and guide the students toward the best ways to learn. Solely using textbooks would not be the best way to learn in the 21st century. Textbooks offer students one perspective and students often take that one perspective to be the be-all-end-all one truth. The internet offers students a chance to look at multiple ideas and perspectives. It also teaches students to look at those different perspectives and ideas and then use their critical thinking skills to choose the best, most reliable resource. Instead of avoiding the internet and all of its’ opportunities, I believe it is important to use it as a chance to teach students to search for the best. If we, as teachers, are expected to prepare our students for the future, don’t you think we should be teaching them to be critical about what they read online and to select the best sources? In his article “How to sharpen students’ critical thinking skills online“, Dr. Ian Jamison suggests teaching students three strategies to help them evaluate their resources and select the best possible information. By having students cross-reference the information, look out for warnings (or red flags), and use a mnemonic device called RAVEN, they will learn critical skills that will stay with them well into their adult-hood and prepare them for the ever evolving World Wide Web. Besides teaching students how to tredge through all the sources and information online, it is important to also teach students how to do a proper search. I know, from working with middle-years students, they often expect to type in a question and have their first result provide all their answers. They get frustrated when they need to refine their search, or look through several different websites before finding the information they are looking for. Many students lack the skills and know-how to complete a proper web search. For example, including quotation marks (“) around a phrase will search for that specific phrase, and including a minus sign (-) next to a word will remove that specific word from your search. These are all tips that when taught and reinforced prove to be beneficial to students. This is something that is worth memorizing! When I was a student I remember needing to memorize information for a test. Our exams were primarily recall based. One instance I recall had us needing to name all 50 states and their capital cities. This exercise proved to be useless because I quickly forgot what I learned and in my adulthood I am easily able to search up these facts that were so important to be memorized earlier. Memorization is not an effective way to learn and retain information. There are exceptions of course. I do insist my students memorize their multiplication tables because this is something they will need and will continue to apply to their daily life for the rest of their lives. But having my students cram and memorize a series of facts does not seem like a good use of their time. I would rather have students learn and then form opinions about what they learn. For instance, I can teach my students about the colonization of Canada. I could have them memorize who all the early explorers were and what they did, OR I could teach the students about the colonization of Canada, have them research about the different explorers online and then have them report on their opinion about what the explorer did and whether it was beneficial to the settlement of Canada. This would have them learning about the explorers and applying their learning to form their own opinions. This brings up another question worth debating. Do we allow our students open access to the internet? When students are asked to research on the internet, do they simply type Google.ca and away they go? I was shocked to learn that Google is not necessarily the best search engine to have students on. It will skew the search results and may not produce the best result first. I thank Alec for pointing out some alternatives that provide students a more accurate search. Engines such as duckduckgo provide students with a safer and more secure platform to search. Another option is Kiddle which provides sensored kid-friendly results for younger surfers. 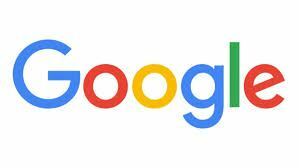 I admit, I was unaware of the privacy issues surrounding Google, and many of the more well-known search engines. I guess that is something that cannot be Googled! In closing, I continue to stand by my belief that schools should not be focussed on teaching things that students can simply look up online. I do, however, believe that students need to be armed with the necessary tools to ensure they are not simply going online blindly and taking everything they read as facts. Teachers have an even larger role to play in this instance. Teachers need to not only teach their students these skills, but they need to monitor, check-in, and always remind their students to be responsible knowledge hunters. Teaching Digital Citizenship, Digital Literacy, and Digital Safety should all come before students are set loose on open searches for learning. I cannot emphasize enough the importance of allowing students access to different points of view, interpretations, and ideas. By being around these differences, students are able to form their own points of view, interpretations, and ideas, which in turn leads to a greater understanding of what they have learned. This entry was posted in EC&I 830 on June 4, 2018 by jenresch. Before I dive into this topic too far, I have a disclosure to make…. I, Jen Resch, am a Connected Educator. What this means is that my students have full-technology integration. We function with one-to-one laptops and therefore my opinion regarding this debate topic may be a little biased. I will do my best to consider both sides of the argument, however I have experienced first-hand what technology in the classroom can do. There are also times where everything is going your way: laptops are charged, WIFI is working, links are all active. However, when walking around checking student progress you notice students on youtube, or playing Slitherin, instead of following the directions laid out for them. So, therefore, classroom management with technology brings about a whole swarm of new challenges and things to consider. A teacher cannot simply assign a project then sit back and watch her students work away! Students are tricky and they are really good at looking like they are on task, engrossed in their assignment; when actually, they are off in another world! There are times technology can make things easier, and there are times when technology just makes things more difficult! Students need to be made aware of the school and classroom use policy before technology is introduced to reduce the amount of problems later on. I have links some suggestions for management strategies above. Last week our EC&I 830 class conducted a debate regarding this very topic. I was shocked to hear that some educators are so opposed to integrating technology and would rather see less technology in the classroom. One reason for their distaste for technology stems on the belief that with technology comes further occurrences of student distraction, whether it be through the opportunities devices offer, or the emphasis on the product, rather than the process. I am not going to lie, technology does mean that students have more access and those distractions are more available; however, the teacher needs to build and scaffold a structure and outline clear expectations to combat these issues. A teacher cannot dive into technology integration head-on. Even the most technologically advanced teacher needs to slowly wade into integration to ensure students are being scaffolded and trained to follow certain expectations. I do not consider myself a ‘seasoned’ teacher; however, I have been around long enough to have experience in a pre-technology classroom, and currently I am in the midst of teaching in a full-technology classroom. Upon doing my own research, I came across several articles outlining the number one challenge with technological integration into the classroom being professional development. A teacher can be given devices and opportunity, however if a teacher is not given training and support, then the devices are useless. I am fortunate to have a tech coach at my disposal and many other professionals who are there to support and guide me, should I need assistance. I believe when it comes to technology, the teacher sometimes needs to take a step back and allow the students to recommend or teach the teacher. There have been many times where I have been learning a new technology with my students. I know we are all teachers and we should know everything, however when it comes to technology, we need to be resigned to the fact that some of our students may be more advanced than the rest of us. That does not mean we should shy away and not attempt to learn or integrated these great tools. We need to put our egos aside and learn along-side our students. I believe the secret to technology in the classroom all lies in one’s pedagogical thinking and really understanding why one is using the technology in the first place. I used to think I wanted one-to-one devices because I wanted to be “paper-less”. I soon learned that is not the point of technology. There is a time and place for “unplugged” activities to allow students to still experience different learning opportunities, but the outcomes and advancements I have experienced by having students plug-in, connect, and explore using technology far outweighs any kind of argument presented against integrating technology into the classroom. It all comes down to the task the teacher is wanting to use and if technology adds to it in a meaningful way. I remember being introduced to the SAMR Model of Technological Integration, however it was not until I viewed the following video that I really understood what it meant. As you can see, SAMR is not about staying in the deep-end or redefinition stage, but rather using technology in a meaningful manner and “swimming laps”. Another useful assessment tool for integration of technology is the ISTE Standard for Educators. This is a tool for teachers to use to help improve a teacher’s practice and empower their learners through the use of technology. This was introduced to me this year and I feel it helps teachers to not only integrate technology in a meaningful manner, but also create a team of collaborators who challenge the way they view education in the classroom. I believe these two tools can help to guide a teacher toward meaningful integration of technology that far outweighs any negative challenge thrown their way. My final point to justify why technology belongs in the classroom is that technology opens the doors to classrooms that were otherwise closed or miles away. Technology has allowed my students to connect with other classrooms, professionals, and has given them the opportunity to take part in initiatives otherwise unimaginable. I have seen students flourish and become excited to explore and deepen their understanding far beyond my initial expectations. They have pushed the boundaries of education to create projects where they are not only researching, but creating using their critical thinking skills to problem solve, collaborate, and develop new ideas. I know it is a cliche’ but my students actually have the world at their fingertips! 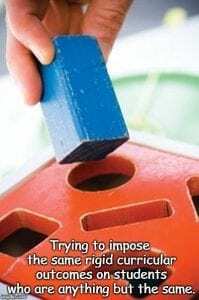 Many people have presented many arguments against technology in the classroom, but unfortunately my first hand experience has out-weighed all of their excuses. If my job is to prepare students to be successful in the future, I believe eliminating technology from the equation would be a disservice to them and their future. Yes, it might be more work to integrate, monitor, and manage the technology, but the student outcomes and experiences are definitely worth it! This entry was posted in Uncategorized on May 28, 2018 by jenresch. This entry was posted in Uncategorized on May 8, 2018 by jenresch.